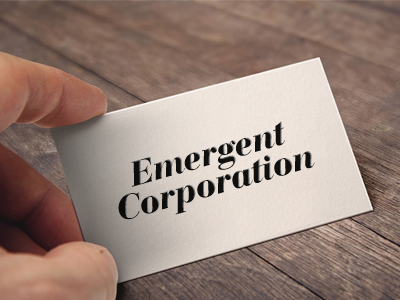 Emergent Corporation was a young consulting company, which was subsequently acquired by Keane, Inc. Kevin Jernigan, founder and president of Emergent Corporation, was only interested in project tracking at first. In discussing the needs and goals of his company with Automation Centre, he realized that Emergent needed Tracker Suite. They needed a solution to capture time and expenses for easy billing to their clients, and because of their rapidly growing client list, they needed it soon. Their accounting department was inputting all of their billing information into QuickBooks, and was quickly becoming overwhelmed. Tracking billable items was incredibly difficult because Emergent's consultants traveled internationally and had no easy way to get their time and expenses back to the office in a timely manner. Emergent had decided to roll out Lotus Notes to the entire company and wanted to be able to launch the time and expense tracking application at the same time. Lotus Notes based Tracker Suite was their ideal choice. Using Tracker Suite, Emergent Corporation found that it was much more accurate and easy for them to do the billing and they were saving money due to the reduction of time in production of the billing. Also, their consultants can access and file their time and expense reports via the Web from anywhere in the world. This greatly speeds the time to invoice cycle which allowed them to improve cash flow.